Yep, it’s back-to-school time and before you know it, you will soon be confronted with every student’s worst nightmare... exams! You may have a lot of reasons to be stressed out before any type of exam—be it a pop quiz or even an instant recitation. Lack of sleep (because of night-outs with friends, late-night work at the house or noisy neighbors), dealing with personal problems, caring for the little one of the house, medical emergencies: the list goes on and on. · Everything you know is already inside your head. Given that you actively participated in your classes, you just need to unlock or refresh the knowledge you have inside your brain. · Start early. Your brain won’t absorb all the information you need to answer the exam just by having a tiring all-nighter review session. Give it time, a few weeks before the exam, to remember all the topics and everything else will follow. · Organize your review schedule. Prepare an outline of what you’re going to review every day. It would be very helpful to determine the topics for review ahead of time, compared to jumping from one topic to the other. This can avoid more confusion and stress while exam week nears. · Get help. There is nothing to be ashamed of and it would be easier for you to understand topics that are giving you a hard time by getting help from someone who really knows. Go ask your instructor or a classmate. · Get the right amount of sleep, food and exercise. Your brain is still part of your body and still needs proper nutrition to function well. Lack of these three factors may impede your performance. Speaking of food—brain food, that is—it’s good to nourish your brain with true brain food like BRAND'S® Essence of Chicken, a food supplement that naturally has ProBeptigen™, an amazing peptide that can help boost the level of serotonin in the brain, known to fight stress, fatigue, and help improve concentration and motivation. · Relax before exam day and stay calm. Putting your brain to so much stress could only hamper your performance in the exam. When our mind is stressed it clouds our judgment; but when it is calm, we see things clearer. · Reward yourself. Cut yourself some slack and feel free to indulge yourself with other activities after the exam. You are sure to improve your performance in school and in work, too, plus with proper diet, rest, and regular exercise—of course with once-a-day regular consumption of BRAND'S® Essence of Chicken, made from fine-quality chicken without any additives, fats and cholesterol, to help keep the brain healthy. Facing exams may be frightening, but with enough preparation, a clearer mindset and of course, a focused disposition towards school, all the anxiety and unnecessary stress will stop bothering you once you’re back to school to make your school life and exam performance stress and anxiety-free. 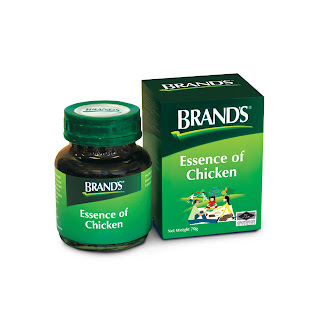 Available in 42-gram and 70-gram bottles, with suggested retail prices of P68 and P108, respectively, BRAND’S® Essence of Chicken is sold at Mercury Drug stores in Metro Manila. For more details, visit www.brandsworld.com.